These are the hallmarks of Dani Harper’s transformational tales of faeries, shapeshifters, ghosts, and more, for a mature audience. Dani Harper is the author of Storm Crossed, Storm Warned, Storm Bound, Sto LEGEND. LORE. LOVE. MAGIC. Dani Harper is the author of Storm Crossed, Storm Warned, Storm Bound, Storm Warrior (the Grim Series), as well as First Bite (Dark Wolf), for Montlake Romance. She is also the author of a Yuletide ghost story, The Holiday Spirit (Haunted Holiday Series), plus a popular shapeshifter series, which includes Changeling Moon, Changeling Dream, and Changeling Dawn. For more, visit her website at http://www.daniharper.com. 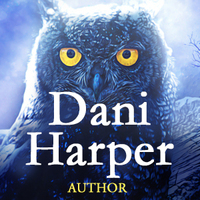 To ask Dani Harper questions, please sign up. Will there be more books in the Grim Series? Dani Harper Yes, I'm working on Book 4 right now. It's titled "Storm Crossed". Ms. Harper, I just finished reading The Holiday Spirit and thoroughly enjoyed it! I know you have 3 other series which I plan to check out; however, are you also planning on anything more in The Holiday Spirit world? The characters were a lot of fun and I would love to read more! Thank you! Storm Crossed is a finalist for a Write Touch Reader’s Award! Squeeee! I received a wonderful surprise in my inbox this morning. My latest novel, Storm Crossed (Book 4 of the Grim Series) has been selected as a finalist for a 2019 Write Touch Readers’ Award. The annual contest is sponsored by the Wisconsin Romance Writers of America. Winners will be announced in a about a week. Dani Harper said: " This book was a delightful surprise. The central character is Hugh d’Ambray, a brutal villain from the Kate Daniels series which I adore. I even hesitated to read "Iron and Magic" because I didn't think it was possible to root for d’Ambray - and I wa This book was a delightful surprise. The central character is Hugh d’Ambray, a brutal villain from the Kate Daniels series which I adore. I even hesitated to read "Iron and Magic" because I didn't think it was possible to root for d’Ambray - and I was dead wrong. The husband and wife writing team behind "Ilona Andrews" proves once again that they know how to tell a helluva story. I can't wait to get my hands on Book 2! ...more "
We’d love your help. Let us know what’s wrong with this preview of Prince of Air and Darkness by M.A. Grant. Remy Chandler changed my mind about angels. I love the paranormal and most of my reading is done in urban fantasy -- but outside of Lassiter, who often provides some comic relief in the intense Black Dagger Brotherhood series, I've never particularly Remy Chandler changed my mind about angels. I love the paranormal and most of my reading is done in urban fantasy -- but outside of Lassiter, who often provides some comic relief in the intense Black Dagger Brotherhood series, I've never particularly liked angels. I picked up this book by accident and was instantly hooked. It's a gritty and gripping page-turner, but the central character, angel Remy Chandler, is quite simply unforgettable. The presentation of Heaven and Hell, the relationship between them, and the subsequent effects on humanity is unlike anything I've ever seen. I even forgave the cliff-hanger at the end (and ran to get a copy of the next book!). We’d love your help. Let us know what’s wrong with this preview of Walking In the Midst of Fire by Thomas E. Sniegoski. We’d love your help. Let us know what’s wrong with this preview of Magic for a Price by Devon Monk. We’d love your help. Let us know what’s wrong with this preview of Iron and Magic by Ilona Andrews. Epic and oh-so-satisfying. A worthy ending to the amazing Kate Daniels series - and with a family of characters that promise to carry on with stories of their own. We’d love your help. Let us know what’s wrong with this preview of Magic Triumphs by Ilona Andrews. We’d love your help. Let us know what’s wrong with this preview of Magic Mourns by Ilona Andrews. We’d love your help. Let us know what’s wrong with this preview of Magic Dreams by Ilona Andrews. “Computers are heaven-sent when they work and hell-spawn when they don't. Time to pick our next series read, only the first book is listed. This will be up until 1/24/12. Thanks for friending me, Dani!! Your stories look really hot and juicy! Yum. thanks for the friendship, dani. have a lovely evening. Hi Dani! Thanks for friending this fellow writer! Looking forward to sharing reviews and recommendations with you! Hey Dani! Thanks for inviting me to be GR friends!! I'm honored! Thanks for the invite Dani. I look forward to chatting with you. Thanks for the connection, Dani! Thanks for the friend request. 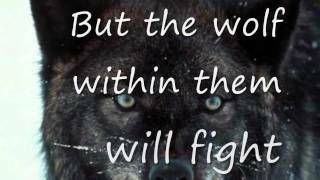 I love your wolves and look forward to your Grim. Hi Lanie -- Thank you so much for thinking about me! It's a lovely card. :) Hope you have a warm and wonderful Christmas! Have a GREAT week, Dani! Have a GREAT week, Dani!" Thanks Jan - it's definitely on my MUST BUY list! The new series is really intriguing me - just pre-orderd Blood Kiss!